The René Wellek Prize awarded by the American Comparative Literature Association biennially for the best book in literary theory will be shared this year by Umberto Eco of the University of Bologna and Thomas G. Pavel of Princeton University. 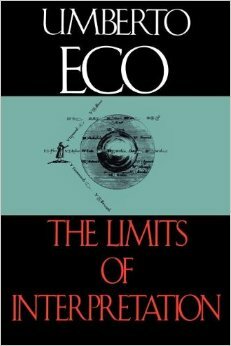 Eco's book, The Limits of Interpretation, makes a powerful revisionist argument against deconstructionist hermeneutics. Whereas Eco's earlier work dealt chiefly with the reader's role in interpretation, he now cautions us to beware of "hermetic drift" or the "cancer of uncontrolled interpretation." "Unlimited semiosis," he argues, "is a form of 'epistemological fanaticism,' there being, after all, interpretations which are blatantly unacceptable. This means that the interpreted text imposes some constraints upon its interpreters." In its extreme form, Eco argues, deconstructionist theory is "unable to recognize that symbols, paradigmatically open to infinite meaning as they may be, are syntagmatically open only to the indefinite, but by any means infinite, interpretations allowed by the context." In making his case and exposing some of the more absurd interpretations to which Modernist writers like Joyce and Pirandello have been subjected, Eco draws upon a wide range of sources from Patristic literature and Renaissance Hermeticism to the work of Charles Pierce. The Limits of Interpretation is as witty as it is learned--a dense theoretical work that is also a real pleasure to read. 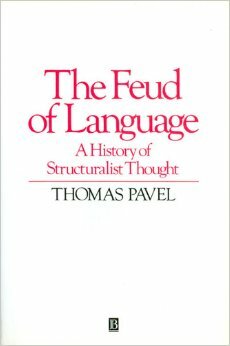 Like The Limits of Interpretation, Thomas G. Pavel's The Feud of Language challenges contemporary French theory, but this time from the perspective of linguistics rather than hermeneutics. Pavel's is an exceptionally intelligent and informed discussion of the ways in which the Saussurean model has been used (or rather misused) in French structuralist and poststructuralist thought, including anthropology, epistemology, the philosophy of language, literary theory, and poetics. Himself a linguist by training, Pavel offers us a fascinating and detailed critical history of what he calls the linguistic "mirage" or "illusion" or "mystique" in the human sciences, from Levi-Strausse's Procustean treatment of myths as phonological structures to Derrida's grammatology, and theory of purely differential meaning, based on partial Saussurean analogies, unilaterally interpreted. Linguistics, Pavel argues convincingly, can be a useful tool and source of insight in many analytical situations, but ceases to be so when exorbitant philosophical claims (be they metaphysical or antimetaphysical) are made in its name. Pavel's critique is consistently lucid, nuanced, and balanced; unlike most current critiques of deconstruction, it brings to its subject both a profound learning and genuine respect and sympathy.